Public Law, Business Law, Sports & entertainment, and Litigation. 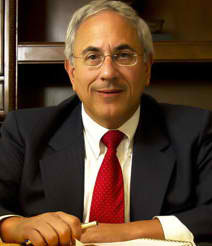 Practice Donald Scarinci is the Founding Partner of Scarinci Hollenbeck. Mr. Scarinci focuses his practice representing public entities and businesses that interact with government. Over the years, Mr. Scarinci has achieved a high level of recognition for his work with public entities throughout the entire state of New Jersey. He has worked with some of the largest New Jersey municipalities and counties, as well as numerous planning and zoning boards, economic development authorities, school boards, utility authorities, and other public sector entities at every level of municipal, county, regional and state government. Mr. Scarinci currently serves as Corporation Counsel to the City of Union City and served as counsel to the Democratic members of both the Congressional and Legislative Redistricting Commissions in New Jersey in 2001. Mr. Scarinci has been designated as a Diplomate in Municipal Law, is an Associate Counsel to the New Jersey League of Municipalities, a Trustee of the Institute of Local Government Attorneys, and was formerly Counsel to the New Jersey State Assembly. He continues to be named to the “New Jersey Super Lawyers” list. The list, published by Super Lawyers Magazine in conjunction with New Jersey Monthly Magazine, is an annual listing of outstanding lawyers from more than 60 practice areas who have attained a high degree of peer recognition and professional achievement. Mr. Scarinci has lectured and written extensively on subjects such as campaign finance reform and municipal law. He is the author of “David Brearley and the Making of the United States Constitution,” a historical biography about David Brearley, signer of the Constitution from the State of New Jersey and the first Federal District Court Judge for the District of New Jersey (1789).His new book, “Redistricting and the Politics of Reform,” was published in 2010. Mr. Scarinci has been appointed by the Secretary of the Treasury of the United States to serve on the Citizens Coinage Advisory Commission. The Commission considers and approves all designs for American coinage. He is recognized internationally as an authority on medallic art and has written and spoken extensively on the subject.